Pictured from left to right are Sara Sosebee, Chloe Cook, and Gillian Little. 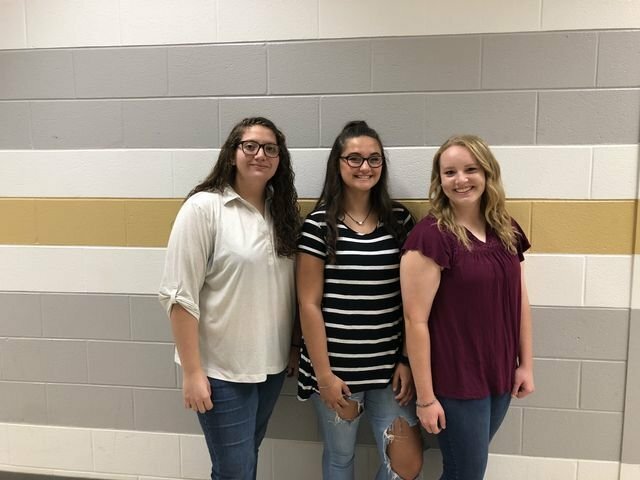 The Ringgold High School Chapter of Health Occupations Students of America (HOSA) has announced the RHS HOSA Officers for 2018-2019. The Officers are Sara Sosebee, President; Gillian Little, Vice President; and Chloe Cook, Secretary. HOSA is a powerful curricular program of student led activities designed to develop future leaders for the healthcare system. Although HOSA mostly consists of students in the Healthcare Science Program any student who is interested in the field of Healthcare is eligible to join.